Daan advises Fortune 500 companies, startups and individual authors on trademark, copyright, right of publicity and right of privacy matters. Daan has gained high trust for his particular experience in managing domestic and international trademark portfolios and counseling clients with complex copyright issues. Prosecuting U.S. trademark and copyright applications and coordinating international trademark filings. Analyzing comprehensive and knock-out trademark clearance searches. Conducting opposition and cancellation proceedings before the Trademark Trial and Appeal Board. Enforcing trademark rights, including in Uniform Domain-Name Dispute-Resolution Policy (UDRP) proceedings. Assisting with litigation and International Trade Commission proceedings. Before joining the firm, Daan researched copyright law and policy for more than two years in New York at the Fordham IP Institute under Professor Hugh Hansen, where he interfaced with judges, practitioners, academics and government leaders from around the world, including heads of agencies such as the U.S. Copyright Office, European Commission, United States Patent and Trademark Office (USPTO), U.S. Trade Representative and the World Intellectual Property Organization (WIPO). 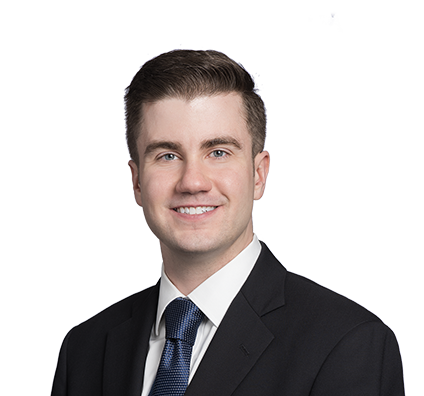 During law school, Daan served as a judicial extern to the Honorable Richard Fruin of Los Angeles Superior Court and interned in HBO’s Santa Monica, California office. While at HBO, he drafted talent contracts for HBO’s original programming, licensing agreements and other contracts.